Use humidifier correctly at home must pay attention to remove the water reservoir and clean it with water every day before using the humidifier. This will prevent the harmful substances in water from diffusing into the air, so you aren’t breathing those in when the humidifier is in use. Meanwhile also pay attention to make room ventilated, because ventilation is the best way to prevent respiratory system disease. When using ultrasonic humidifier, you should not add in tap water directly into the water reservoir but pure water or water under 40℃. The ultrasonic humidifier sprays the mist into the air along with the minerals that tap water contains, which will cause “white powder” phenomenon. If it must allow for tap water to be used, do clean the water reservoir with special cleaner. Otherwise, the machine will be blocked by incrustation or even be burned. 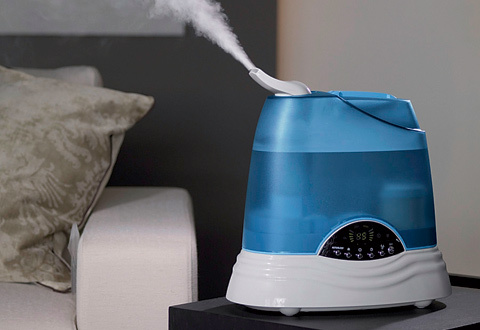 A humidifier should be cleaned at least once a week and water should be changed every day. This will help prevent any bacteria, which can influence human health, from diffusing into the air. The electric stream humidifier can spray hot mist, so people should pay attention to prevent from burns when it is in use. Recommended humidity level is normally between 40% – 60%, 300-500 milliliters per hour. Your humidifier should be positioned around one meter away from electric household appliances and furniture, which can prevent these from be damaged by water mist. How to Deal the Humidifier Don’t Spray Mist? 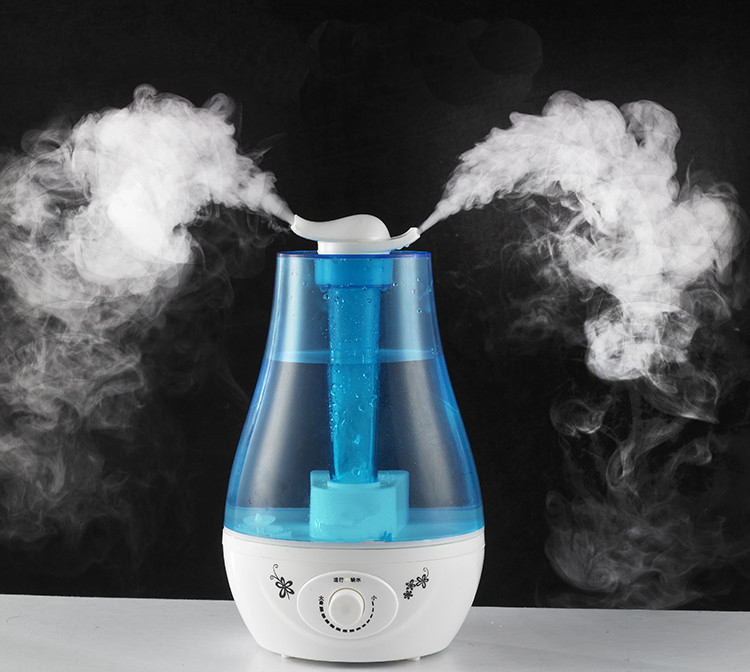 The household humidifier is mainly the ultrasonic type. Use humidifier correctly can bring us a better life. However, people will inevitably meet some problems with it, so it is necessary to know the steps to fix this problem. The way to judge the energy transfer is good or bad: Firstly, check the energy transfer if it is broken or damaged, and check if the metal coating falls off or gets bubbled. 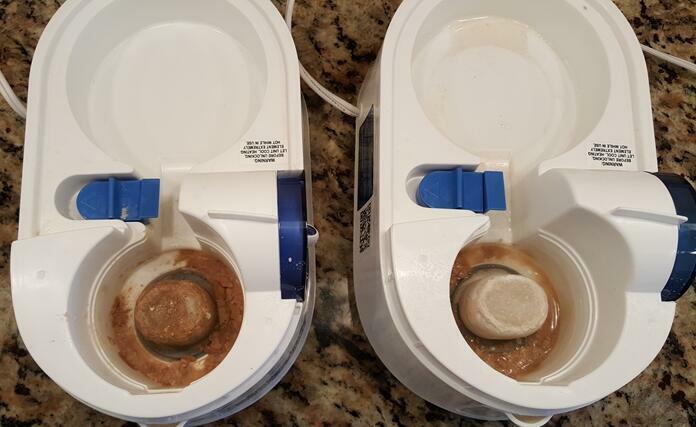 If it gets bubbled or the metal coating falls off and the brown crystal (piezo electric ceramic) inside appears, it means the energy transfer gets inefficient or out of work. Use the tramegger or multimeter R x 10K to check if it exists electric leakage or breakdown. The electric leakage is mainly caused when energy transfer gets wet, which is due to aging waterproof washer and water leakage, or stuck with dirt. It can normally work again when using anhydrous alcohol cotton to wipe away the dirt and dry it with a hair dryer. Humidifiers function under two conditions: 1. Ceramic oscillator vibrates to crate mist. 2. Fan ratates to spray mist out. If the humidifier can function with no mist coming out, it means the fan is not working. Solution: the fan gets stuck when a humidifier is not used for a long time. Then, add some lubricating oil onto the fan and tap it gently to see if it is working. If it is still not working, turn to after-sales service for help. Previous Post:Is it necessary to use humidifier in air-conditioned room in summer? Next Post:How to choose a suitable home humidifier?